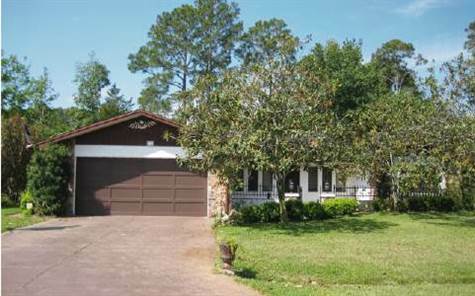 Indian Trails, Palm Coast - Are you looking for space? You got it! With this spacious 2/2/2 home located in Indian Trails. This house is loaded with upgrades such as, a stone fireplace, security system, sprinkler system w/ well, center island in kitchen with a built in jen-air range, 2 walk-in closets in the master bedroom, front and back open patio, and as a bonus a 27x12 enclosed Florida room including a 7 person SPA!!!!! One last item, do not forget the HUGE shed that is equipped with electric.